That's a wrap! After months of shooting with seemingly every single character from the Marvel Cinematic Universe reporting for duty, along with plenty of new characters added to the roster as well, Avengers: Infinity War is in the can. Now we just have to wait patiently (or impatiently) for the movie to arrive on May 4, 2018. The news was confirmed by directors Joe Russo and Anthony Russo, but there is no rest for the weary, as the untitled Avengers 4 will be going into production very shortly. The Russo Brothers, who aren't particularly active on social media, took to their official Instagram account to commemorate the occasion. Avengers: Infinity War still has a long way to go, especially since there will be a massive post-production process on this one and, as with most of these big movies, probably some reshoots. But principal photography is done and that is a huge step in bringing the next Avengers movie to the big screen. With one of the Russo brothers lying on the ground by their trailers on set, they had the perfect caption with their photo to announce that production has wrapped. Originally, the plan was to shoot Avengers 3 and Avengers 4 at the same time, but that became too massive of an undertaking and plans changed somewhere along the way. When the movies were first announced they were billed as "Part 1" and "Part 2," but that wound up not being the case. 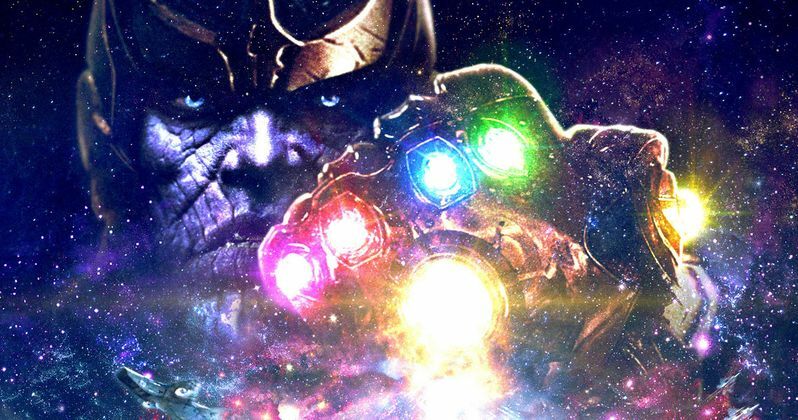 Since Marvel won't even reveal the title for the fourth Avengers movie yet, it is hard to speculate what has changed, but we know for sure that Thanos is going to be bringing his wrath in Infinity War. Considering how long he has been teased, it would seem like bummer if he winds up being a one-and-done villain. So we can at least hope he'll be around in Avengers 4 as well. It looks like Joe and Anthony Russo were getting stuff done right under the wire as, just yesterday, both Karen Gillan and Pom Klementieff posted to Instagram saying that there were doing some filming on Avengers: Infinity War. So Mantis and Nebula were some of the last actors to report for duty on this movie. Scheduling the shoot, given the size of the cast, was a logistical nightmare throughout, but they made it happen. With D23 happening this weekend, we are going to get some new information on Avengers: Infinity War. Josh Brolin's Thanos was already fully revealed, via Marvel's area on the exhibitor floor. We may even (fingers crossed) be getting our first bit of footage this weekend, but we'll have to wait and see. Maybe the Russos can make a quick stop the D23 before heading off to shoot Avengers 4? We'll have to wait and see. For now, you can check out the Avengers: Infinity War wrap photo for yourself below.